Along with the changes in the external business environment of enterprises, it is more urgent for enterprises to carry out innovations to enhance their competitive advantages. Technological in-novation can provide enterprises with sustainable competitive advantages. In the era of economic globalization, technological innovation has gradually become the backbone of enterprise devel-opment; business innovation can help enterprises achieve profitability and strategic goals. In a dynamic competitive environment, having dynamic capabilities is critical to business innovation. This paper discusses the decomposition of enterprise innovation into technological innovation and business innovation by combing the existing literature, and discusses the role of dynamic ca-pabilities in regulating corporate innovation and competitive advantage. Teece, D.J., Pisano, G. and Shuen, A. (1997) Dynamic Capabilities and Strategic Management. 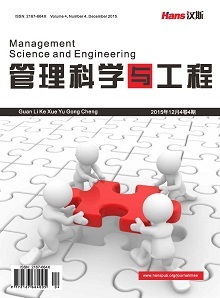 Strategic Management Journal, 18, 509-533. Wang, C.L. and Ahmed, P.K. (2007) Dynamic Capabilities: A Review and Research Agenda. International Journal of Management Reviews, 9, 31-51. Romer, P.M. (1986) Increasing Returns and Long-Run Growth. Journal of Political Economy, 94, 1002-1037. Lucas, R.E. (1988) On the Mechanics of Economic Development. Journal of Money Eco-nomics, 22, 3-42. 约瑟夫•熊彼特. 何畏, 等, 译. 经济发展理论[M]. 北京: 商务印书馆, 1997. Mansfield, E. (1968) Industrial Research and Technological Innovation. Economic Journal, 78, 676. 傅家骥. 技术创新学[M]. 北京: 清华大学出版社, 1998. 朱舜楠. 后金融危机时代企业经营创新与转型[J]. 财经问题研究, 2013(4): 120-124. 张虎林. 论求异思维与企业经营创新[J]. 商业时代, 2010(4): 47-48. Barry, B. and Shawn, T. (2004) A Guide to Developing and Managing a Well-Integrated Multi-Channel Retail Strategy. International Journal of Retail & Distribution Management, 32, 147-156. Koulamas, C. (2006) A News Vendor Problem with Revenue Sharing and Channel Coordination. Distribution Sciences, 37, 91-100. 张武康, 郭立宏. 传统零售企业网络零售成功的关键因素实证研究[J]. 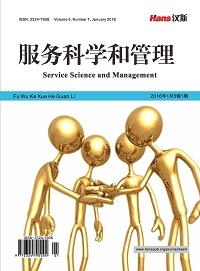 西安财经学院学报, 2016, 29(2): 33-40. 汪旭辉, 张其林. 多渠道零售商线上线下营销协同研究——以苏宁为例[J]. 商业经济与管理, 2013, 263(9): 37-47. 王剑钊, 吴甦. 连锁零售业扩张行为绩效评价[J]. 商业时代, 2005(21): 17-18. Dorman, A.J. (2013) Omni-Channel Retail and the New Age Consumer: An Empirical Analysis of Direct-to-Consumer Channel Interaction in the Retail Industry. Claremont Mckenna College. 孟迪云, 王耀中. 价值网络视角下的网络零售企业竞争优势来源研究——以京东为例[J]. 求索, 2015(10): 45-49. 洪涛, 李国玉. 中国零售业结构性调整分析——2014年中国零售业关店报告[J]. 中国流通经济, 2015(3): 1-9. 王举颖. 大数据时代零售企业多边平台发展与协同定价策略研究[J]. 价格理论与实践, 2015(5): 106-108.